“AV:” BREAKING CURSES; REVERSING THE CURSE! The FIFTH MONTH on the HEBREW RE-BIRTH / NEW BIRTH CALENDAR (Exodus 12:1). Sadly, The Hebrew Month of “Av” is ASSOCIATED with a lot of TRAGEDY in relation to Jewish HISTORY. This is very SIGNIFICANT for all who are BELIEVERS & FOLLOWERS OF YAHUSHUA HA MASHIACH! The FIRST & SECOND TEMPLES that were in Jerusalem were DESTROYED by the Romans. Additionally, many OTHER TRAGEDIES occurred in JEWISH HISTORY! Remember that the TEMPLES were a SYMBOL OF YAH’S DIVINE PRESENCE which is also called SHKINYINYAH GLORY! It was On the “9th of Av” that the 10 of the SPIES that Moses had sent out to SPY ON THE PROMISED LAND (in order to know what was there in advance and REPORT BACK) SINNED AGAINST YAH by spreading RUMOURS THAT CAUSED FEAR & PANIC among the CHILDREN OF ISRAEL thereby causing YAH anger. YAH decreed that day (“9th of Av” that none of the 10 SPIES who sinned and their descendants would ENTER THE PROMISED LAND! Only the other 2 SPIES (Yahushua/Joshua & Caleb) who had FAITH in YAH that they would CONQUER the Giants would ENTER THE PROMISED LAND! 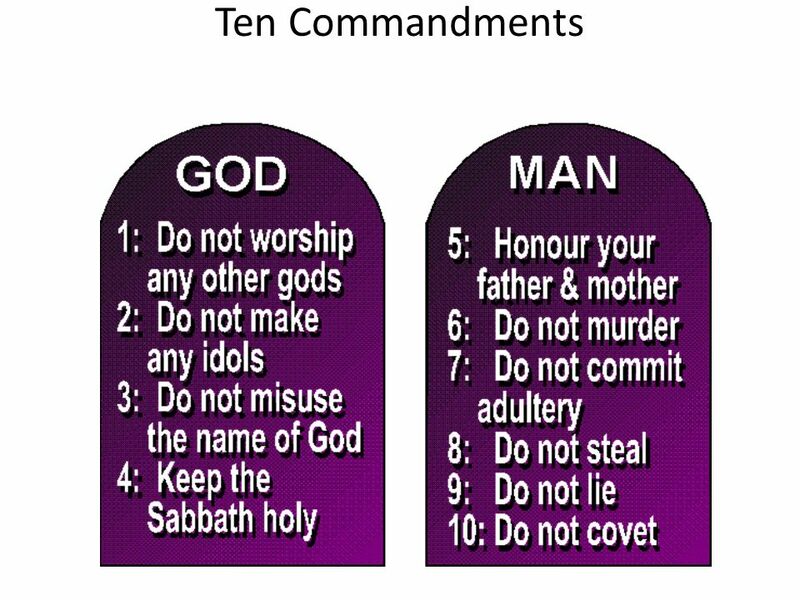 Check out Numbers 13 (TORAH PORTION “SHELACH” meaning “SEND”) . The LOST BOOK OF THE BIBLE called BOOK OF JUBILEES (In Hebrew: Sefer Ha-Yobel) has a BREAKDOWN OF DATES OF BIBLICAL HISTORICAL EVENTS! Please do read it. Once again, HAPPY NEW MONTH!!! 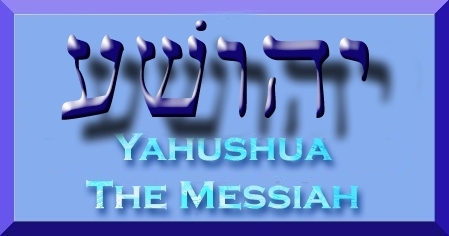 May YAH especially have MERCY upon us for all our SINS in YAHUSHUA’S Name, AMEN! May our SORROWS BE TURNED INTO YAH’S JOY & DANCING throughout the COURSE of this month of “Av” in YAHUSHUA HA MASHIACH’S Name, AMEN! MAY NO EVIL BEFALL us and our families, in YAHUSHUA’S Name! It is “ROSH CHODESH!” This is called the “NEW MOON FESTIVAL” in the English Hebrew. This is the most crucial month of the year. It is important to understand what this month is about, its pitfalls and how to enjoy YAH’S Blessings. 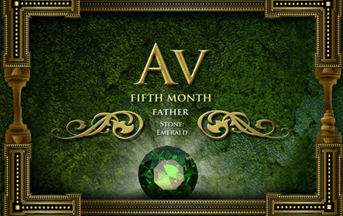 “AV” is the Month of SIMEON! KEYS TO REVERSING THE CURSE! YAH does not want you living under a curse! 32 Leah became pregnant and gave birth to a son. She named him Reuben [Here’s My Son], because she said, “Certainly, Yahweh has seen my misery; now my husband will love me!” 33 She became pregnant again and gave birth to another son. She said, “Certainly, Yahweh has heard that I’m unloved, and he also has given me this son.” So she named him Simeon [Hearing]. 34 She became pregnant again and gave birth to another son. She said, “Now at last my husband will become attached to me because I’ve given him three sons.” So she named him Levi [Attached]. Biblically, it is the most crucial months of the year. It is the Month to squeeze through a narrow space and enter into your future! The history of the the Children of Israel reveals that they have experience several calamities over the years and most of those calamities have occurred on the same day of the year which is the 9th day of the month of Av. 9th of AV 587 BC – The armies of Babylon destroyed Solomon’s Temple. 9th of AV 70 AD – The Roman armies destroyed The Second Temple. 9th of AV AD 135 – Day of the Final Defeat of the Jews/Children of Israel by Rome. YAHrushalayim/Jerusalem was destroyed! 9th of AV 1290 – Jews/Children of Israel expelled from England. 9th of AV 1492 – Jews/Children of Israel expelled from Spain. 9th of AV 1942 – Jews/Children of Israel deported from Warsaw Ghetto to death camps. NOT JUST A COINCIDENCE! A CURSE! If you understand the 9th of AV Curse, it will help you to avoid the curses in your life! It was never YAHUVEH GOD’S plan for HIS people to live under a curse!!! The month of AV was never meant to be a month of disaster and sorrow!!! Rather, it was and is supposed to be a month of BLESSING and CELEBRATION! Back at the start of the Exodus, we see YAH ALmighty taking HIS people out of Egypt by HIS mighty power. 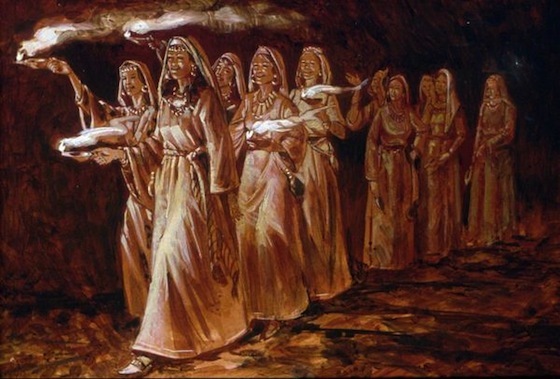 At Pesach/Passover, HE broke the power of their slavery and released them from their women’s oppression! He led them through the Sea of Reeds (a.k.a Red Sea) and showed them HIS faithfulness in the wilderness! HE brought them to Mount Sinai and revealed HIS GLORY! As they came up to the Month of AV, HE brought to border of the Promised Land! On the 9th of AV, Israel chose to listen to the voice of unbelief. YAH had opened the door to their future but they refused to go through it. THE MONTH OF AV IS A MONTH OF OPEN DOORS TO YAH’S BLESSINGS! DO NOT ALLOW UNBELIEF TO RULE IN YOUR HEART HENCE STOPPING YOU FROM GOING THROUGH THE DOOR THAT YAH HAS OPENED TO YOU! In YAH’S plan, that was supposed to be a month of tremendous CELEBRATION and BLESSING! AV was supposed to be the Month to Enter Into The Promise – PROMISED LAND, ISRAEL! Every year, AV was to be a month to celebrate YAH’S goodness to Israel. This is the month we entered the Land. The problem was that the Children of Israel held back in unbelief! They tasted the fruit but refused to enter! Sadly, their confession was that their enemies were too strong for them and that they would die! In the process of saying this, they put themselves under a curse. So, every year, henceforth, they on 9th of AV, they find their enemy is too strong for them and they die! That’s how the Month of AV became one of mourning and destruction. They received a curse instead of THE BLESSING. The Book of Hebrews says that THEY REFUSED TO MIX THE PROMISE WITH FAITH! The Children of Israel spent 40 years in the wilderness and never repented so every year, that cycle repeats itself and that window opens, for example, the historical events mentioned above! When you don’t repent of the sins of the past, A DOOR OF DESTRUCTION REMAINS OPEN! 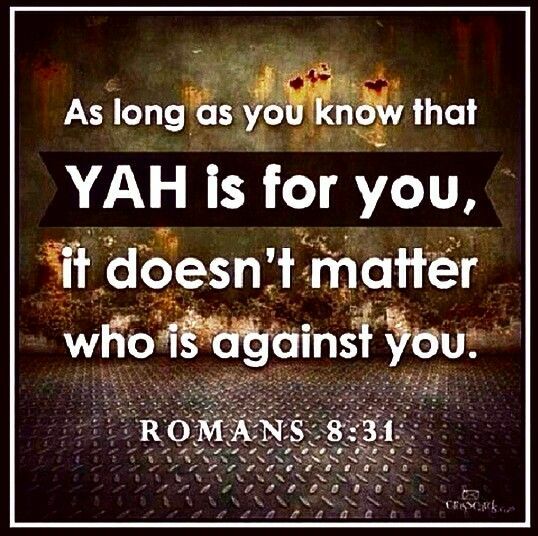 The enemy who is Satan the devil, gains opportunity to bring his destruction hence the 9th of AV curse! It is almost like Satan is waiting for that day because he knows he will have an opportunity to strike: steal, kill and destroy (remember 1 Peter 5:8 and John 10:10?). How do we know that Israel never repented of their sin? Sadly, when The MASHIACH/MESSIAH came to the earth incarnate, they repeated the same sin. When YAH sent the Promised MASHIACH, they again refused to mix Promised with Faith! 13 Encourage each other every day while you have the opportunity. If you do this, none of you will be deceived by sin and become stubborn. When the MASHIACH came, the Children of Israel again tasted the good fruit of YAH’S Promise but again went into unbelief and refused to enter! They saw YAHUSHUA HA MASHIACH, they saw HIS miracles, they heard HIS Teachings, etc and still refused to believe in HIM plus follow HIM, sadly! That means that they never repented in the first place! YOU DON’T REPEAT THE SIN AGAIN! Praise YAH for YAH’S Holy Biblical Scriptures/WORD says that Israel will repent again in the future! Some day, the 9th of AV Curse will be broken! 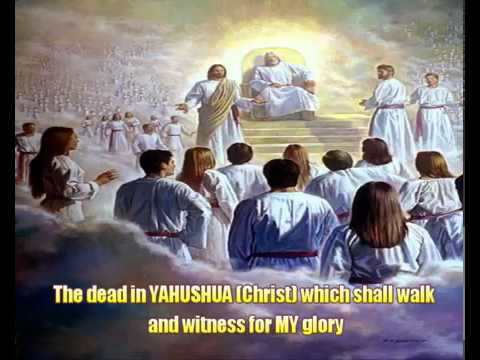 There will come a time when all of Israel will turn back to YAH, receive the MASHIACH and be saved! It is possible that this will happen on the 9th of AV. YAH definitely has a plan to redeem the 9th of AV! It will one day be a day of celebration when all of Israel will rejoice! However, currently, AV is not a month that the Children of Israel/Jews look forward to. Second born son of Israel/Jacob through his wife, Leah. That put Simeon in an enviable position. When Reuben, the first born son of Israel through Leah messed up by sleeping with his father’s concubine, “SIMEON” was next in line for the birthright! “Simeon” could have received the double portion of inheritance, thereby becoming the family’s leader in the next generation. But “Simeon” messed up big time, also! When Israel returned to Canaan, he moved his family to the City of Shechem. Genesis 34 tells us that the son of the King of Shechem fell in love with Israel’s daughter, Dinah and instead of following the correct procedure to marry her, he forced himself onto her. Then he came to Israel and asked for her (Dinah’s) hand in marriage. Israel agreed on the condition that all men of the City of Shechem were circumcised which they all did. However, 3 days later when the men of Shechem were in the most painful stage of healing, “Simeon” and his brother, “Levi” broke into the City and slaughtered ever man there. They then took the flock, the cattle, the donkeys and everything else in the City and in the fields. They carried the women and children and carried everything of value away. Israel was horrified when he learned what his sons, Simeon and Levi had done! After this event, it is recorded in the Book of the Upright Man/Book of Jasher that a war broke out for about 1 year. Israel and his family had to fight back constantly. Only the mercy and grace and strength of YAH sustained them through it because it was just Israel and his oldest sons who engaged in that war, that is to say that, Joseph and Benjamin did not fight in that war. The Book of Genesis skips this part of Israel’s life and family and says that Israel relocated from the City of Shechem to the Region of Bethel with his family in order to keep his family safer. There is no evidence that “Simeon” repented hence Simeon forfeited his birthright! At the end of this life, when it was time to bless his sons……, Israel brought up the incident at Shechem. Instead of speaking a BLESSING over “Simeon” and “Levi,” rather, Israel cursed them. what will happen to you in the last days. when you defiled a maid’s couch. instruments of violence are their knives. may my soul not enter. and in their self-will they maimed oxen. I will scatter them in Israel. So, Israel placed the Simeon under a curse and that is exactly what we see in Simeon’s offspring, The Tribe of Simeon. One mark of a curse is decrease! A BLESSING BRINGS INCREASE while A CURSE BRINGS DECREASE! The “Tribe of Simeon” decreased. At the time of Exodus, The “Tribe of Simeon” was the third largest in Israel numbering, 59,300 (Numbers 1:23). But…… when they came out of the wilderness, they had dwindled down to 22,000 thereby making them the smallest tribe (Numbers 26:14). “Simeon” was the only tribe not blessed by Moses before entering the Promised Land. Not only did they decrease, Israel’s curse prophesied that “Simeon” would be scattered! In the Promised Land, “Simeon” did not his portion. The “Tribe of Simeon” was given some scattered cities in the far south of Judah’s territory but they didn’t stay there. Simeon migrated to the north and were scattered among the northern tribes. Simeon mingled amongst the northern tribes and lost its identity. That was the “”Tribe of Simeon!” “Simeon” messed up. He put himself under a curse. Result: The “Tribe of Simeon” decreased and was scattered! 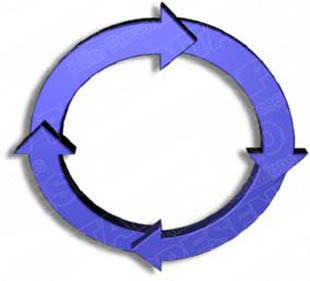 Some of you can identify with “Simeon.” You look at your life and all you see is decreasing and scattering. You feel like you are under a curse. You don’t even know why. It may not even have anything to do with what you did but rather what you inherited from you family or generational line/lineage! If you see a curse at work in your life, A CURSE CAN BE REVERSED! Accepting YAH’S SALVATION and being washed by YAHUSHUA HA MASHIACH’S mighty and precious blood is the first step. You must have a desire to understand what is going on! You must have the desire to change things! You must have the desire to turn things around for good! It is then YAH will intervene to work with you to clean your foundation, etc. Levi committed the same sin as Simeon. Levi received the same curse. However the “Tribe of Levi” had a totally had a totally different outcome. Levi was scattered among the tribes but not in shame…..they were honoured. They bacame the spiritual leaders of the nation of Israel. They didn’t even have their own distinct portion of the land because their portion was The LORD YAHUVEH ALmighty! The cities of refuge were their cities. The “Tribe of Simeon” dwindled and lost their identity but Levi became one of the most numerous and identifiable tribes. Most Jews/Children of Israel today do not know what tribe they are from but the Levites do! When you meet a Jew with the name, “Levi,” that person is certainly from the tribe of Levi. Additionally, when you meet Jews with the name, “Cohn” or “Cohen,” they are certainly from the family of the Priests. THE PRIESTS OF ISRAEL WERE ALL LEVITES! Many of the greatest characters in the Holy Biblical Scriptures were of the Tribe of Levi! Simeon and Levi shared the same sin and the same curse but an incredibly different experience! Levi reversed the curse and was BLESSED! Moses gave Levi an incredible BLESSING just before entering the Promised Land. 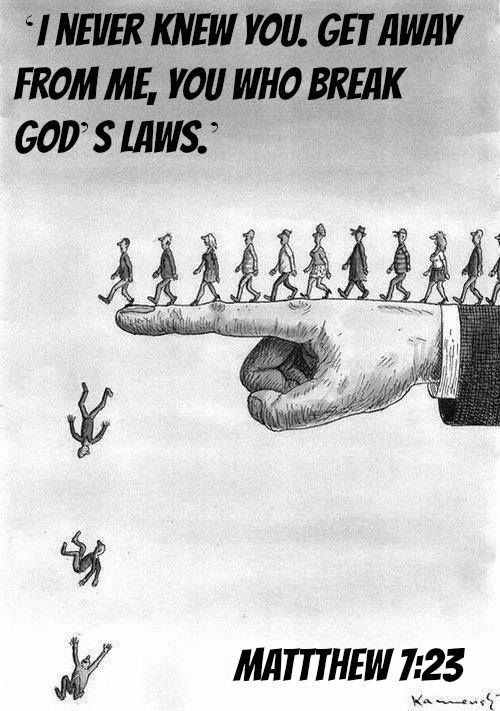 “Your Thummim and Urim[a] belong to your faithful people. Why couldn’t “Simeon” be blessed? Simeon rebelled against YAH and actually led others astray. This us why Simeon decreased in the wilderness! Going through the wilderness, there were times when Israel rebelled and YAH’S judgement came! YAH sent plagues to kill the ones who sinned. 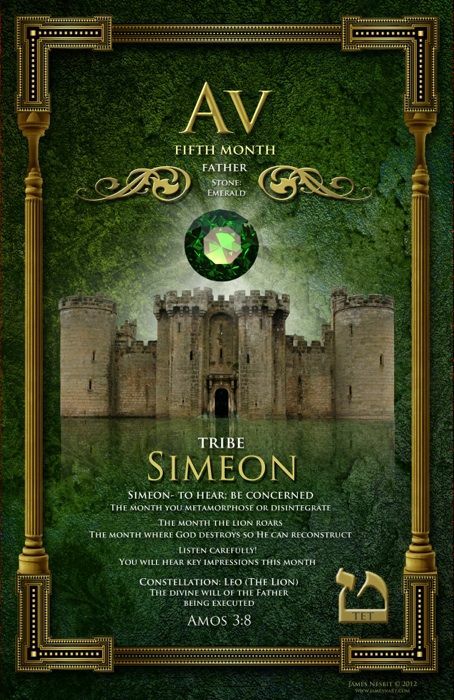 At the heart of some major rebellions, we see Simeon and the result was that Simeon lived under a curse. They were scattered and decreased. Levi sought YAH with HIS whole heart! Levi took the lead among the peoples of Israel in repentance! In Exodus 32, Israel had sinned with the golden calf and YAH was threatening to destroy the nation of Israel but Moses stood at the entrance of the camp and said, “Whoever is on the LORD YAHUVEH’S side, come to me!” And all the sons of Levi gathered themselves together to him! Levi led the nation in standing with YAH! It is recorded in Numbers 25 that Israel committed adultery with the Midianite women and worshipping the Midianite gods. The Leader of the rebellion was “Zimri” who was of a clan of the tribe of Simeon. In the act of blatant rebellion against YAH, Zimri brought a Midianite woman into Israel’s camp in the sight of everyone and took her into his tent and committed adultery with her. 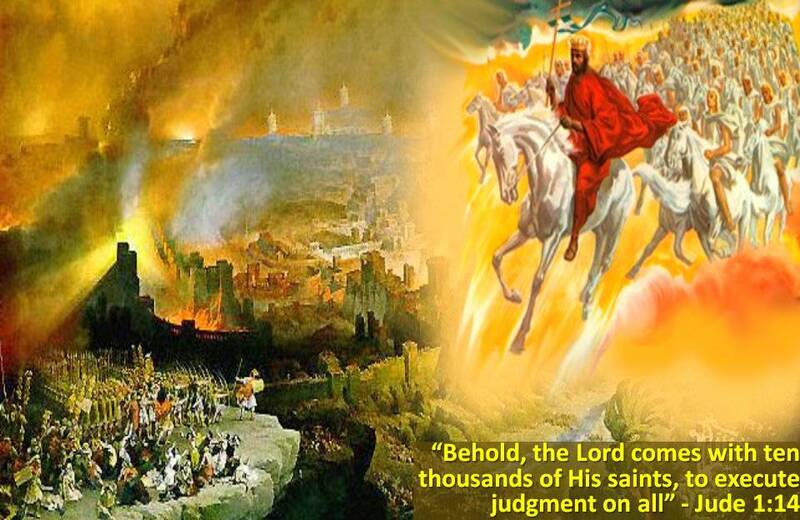 The judgement of YAH was released through a plague that broke out thereby resulting in 24,000 dead. As the plague was spreading, Pinchas/Phinehas, a Prince of the Tribe of Levi went into Zimri’s tent and killed both Zimri and the Midianite woman. And the plague ended! You see, all through the wilderness, Simeon refused to repent. Simeon continually rebelled against YAH and brought curses upon the others. This is why Moses could not bless Simeon jut before going into the Promised Land. You can’t bless someone when they have put themselves under a curse! But LEVI turned to YAH! He sought YAH with all his heart. 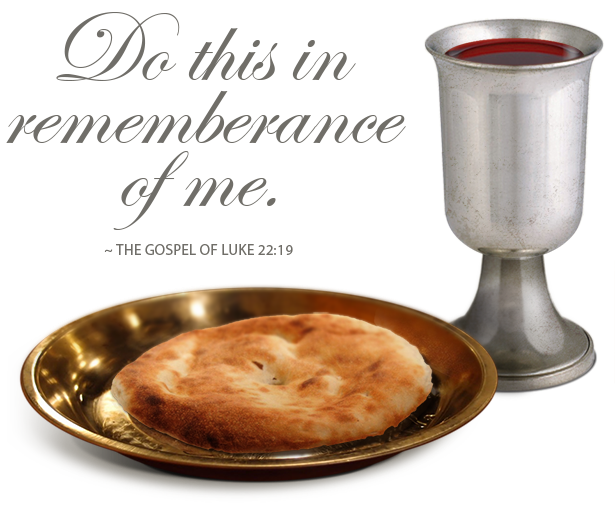 and I gave them to him for reverence. So he revered Me, and he was awestruck by My Name. 6 Instruction of truth was in his mouth. Injustice was not found on his lips. and he turned many from iniquity. No matter how badly you have sinned, if you turn to YAH Almighty with your whole heart, there’s always GRACE! Simeon sinned and lost his birthright and lived under a curse that affected his whole family but YAH isn’t finished with Simeon. Someday, Simeon will turn to YAH also! While the Tribe of Simeon refused to follow YAH, there were individual Simeonites who repented. 9 He gathered all Judah and Benjamin, as well as those dwelling with them from Ephraim, Manasseh and Simeon—for many had defected to him from Israel when they saw that Adonai his God was with him. 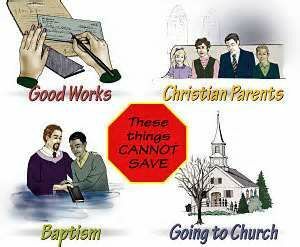 YAH always preserves a remnant! See Luke 2 in which an elderly man called Simeon who was very likely from the Tribe of Simeon had the assignment to dedicate YAHUSHUA HA MASHIACH as a baby unto AV/ABBA YAHUVEH GOD in YAHrushalayim/Jerusalem! Simeon still has a hope and a future! Even if they lost their identity, YAH knows who they are! Simeon’s best days are yet ahead. 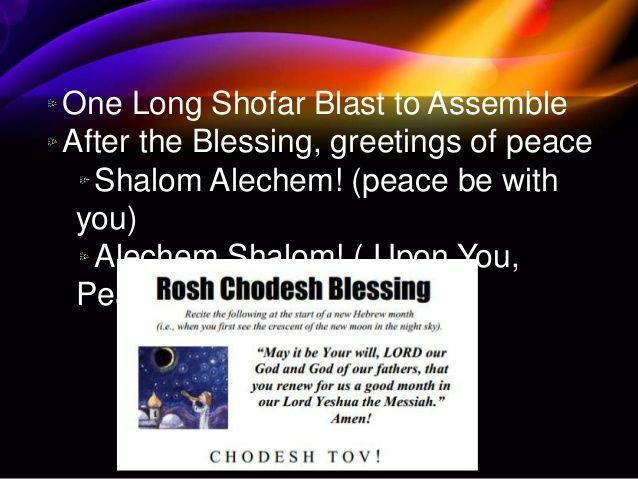 “Simeon” will stand side by side with the other tribes to serve the MASHIACH/MESSIAH….. THE CURSE WILL BE REVERSED! So, this is the Month of “AV!” This is the Month of “Simeon.” You can live under a curse or reverse the curse and enjoy YAH’S Blessings. RUN TO YAH ALMIGHTY FOR DELIVERANCE! 11 For I know the plans that I have in mind for you,” declares Adonai, “plans for shalom and not calamity—to give you a future and a hope. 12 “Then you will call on Me, and come and pray to Me, and I will listen to you. 13 You will seek Me and find Me,[a] when you will search for Me with all your heart. Seek the LORD YAHUVEH with all your heart this month and let the curse be reversed! AV/ABBA YAHUVEH, we thank you! We thank you and praise you for the gift of life, the gift of good health, protection from anti-semitism as well as the fact that you do not want your people to live under a curse, in YAHUSHUA’S Name, AMEN! AV YAHUVEH, have mercy upon me and my family for all our sins according to your steadfast love and abundant mercy. For not trusting in your wholly and putting you first, oh AV YAHUVEH, have mercy and cleanse me with the mighty and precious blood of YAHUSHUA HA MASHIACH, in YAHUSHUA’S Name, AMEN! 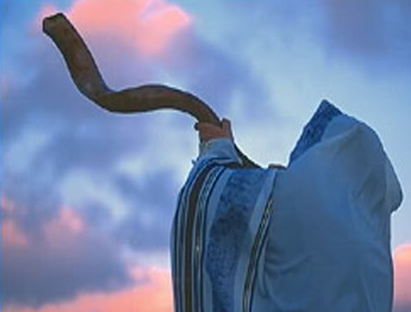 Have your way in my life and fill me afresh with your RUACH HA KODESH to overflowing, in YAHUSHUA’S Name, AMEN! Deliver me from every curse that has been placed upon my life in one way of the other by the power in the blood of YAHUSHUA HA MASHIACH, in YAHUSHUA’S Name, AMEN! Reach out to the foundation of my life as well as all the foundations of every area of my life including, friendships/relationships, marriage, children, Ministry/Calling, career, education, employment, immigration, spiritual life, etc and correct the foundations by the Blood of YAHUSHUA HA MASHIACH, in YAHUSHUA’S Name, AMEN! Let every seed and tree you have not plant in my life, that is to say every evil seed and tree be uprooted, cast out of my life and family and destroyed by RUACH HA KODESH Fire, in YAHUSHUA’S Name, AMEN! Let every good seed be planted in my life and produce good fruit for you AV YAHUVEH, in YAHUSHUA’S Name, AMEN! Help me to abide in you as you abide in ME, oh YAHUSHUA HA MASHIACH, in YAHUSHUA’S Name, AMEN! Be thou exalted, oh LORD YAHUVEH and YAHUSHUA as well as the precious SHKINYINYAH GLORY/RUACH HA KODESH, in YAHUSHUA’S Name, AMEN!